Unpredictable hit at #24 on the Barnes and Noble Romance Trade Bestseller List! A round of champagne for all. Eileen wants to offer up a huge thanks to everyone who has helped with spreading the word. Her book tour starts this week so check her site for a list of dates and locations. 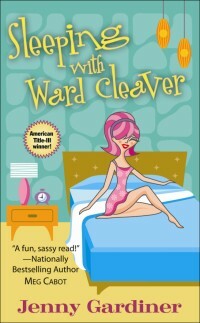 Deb Jenny appeared here on Valentine’s Day and is resting comfortably after the SLEEPING WITH WARD CLEAVER debut blitz ;-). She’ll be speaking at the Virginia Writers Club on Wednesday, February 20, from 6:30-8:30. She also appears online this week at OnceWritten.com. Founder Tish Cohen’s debut novel, Town House has been nominated for the Commonwealth Prize in the Best First Book category for Canada/Caribbean region! Winners are announced March 13, and regional winners are flown to South Africa for the final awards. Final winners get to meet the Queen. As in The Queen! 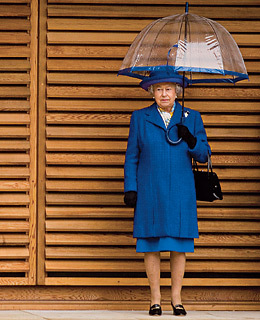 No, actually, it’s this Queen. Meet New Yorker Marissa Price, corporate exec turned full-time mom. When her husband Paul is offered a position in Hawaii, it seems like the perfect opportunity for Marissa to finally kick back, to trade in her stilettos for sandals. More importantly, she hopes the move will give her flailing marriage the jumpstart it so desperately needs. Sure, the house is a rambling, expensive eyesore and a single box of cereal costs $8, but that’s the price of paradise, right? Then Paul enters a midlife crisis, quits his job and moves out, leaving Marissa to fend for herself and their precocious eight-year old daughter, Pansy. 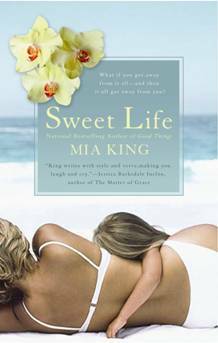 Marissa finds allies in the unlikeliest of friends as she comes up with ways to fund their way back to New York, and discovers that the pursuit of paradise may not be so futile after all. Thanks to all who participated in the Deb Eileen Cook, Unpredictable Launch Week contest. The winner is: Joanne Levy! Congratulations Joanne! Wow, congrats to everyone on the great news this week. Mia – what a beautiful cover! And um….YAHOO to me! A real live signed copy of Unpredictable!